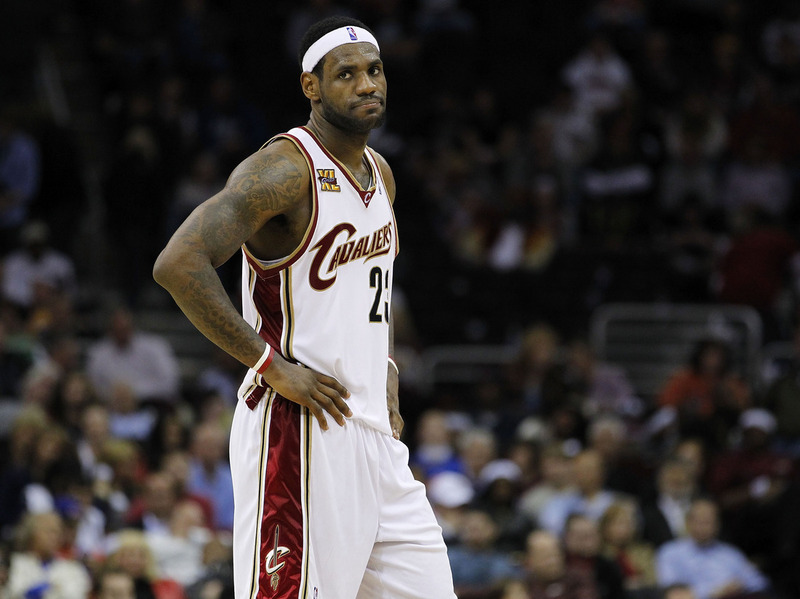 Now, there is talk that James is less-than-thrilled with certain aspects of the Heat organization. ... James can opt out of his contract at the end of the 2013-14 season, and speculation is he will strongly consider it if Riley remains in his current role. And the team James would be eyeballing most in free agency, say those close to the situation, would be the Cavs. LeBron as a Cav again? Seriously? Probabaly not. It is possible that Amico just wants some attention, but ESPN's Brian Windhorst knows LeBron best and says that he could finish his career there. "Maybe one day LeBron and Cleveland can bury the hatchet and James can ride into the sunset as a Cav?" Considering how much love Lebron gets from the Cleveland fans, some of the Cav's employees and the Cav's owner, that chance is highly unlikely. Unless of course they want to hit him with the "okey-doke" and make him think they are over it, only to torment him personally every night.